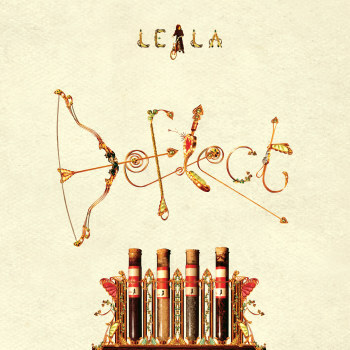 Leila's new EP 'Deflect' is in stores this week! The lead track features Martina Topley Bird's vocals and is taken from the forthcoming album 'Blood, Looms and Blooms' (July 7th 2008). What's more is that the EP package has 3 new b-sides which are new and exclusive to this release! Before the full length album 'Blood Looms and Blooms' drops, here is a taster of what's to come with the rather excellent 'Deflect' featuring the vocal talents of Martina Topley Bird - her new album is just out and includes the production of Dangermouse amongst others. Deflect is a piece of rugged lo-fi and ecstatic songwriting and what's more, as a bonus it's backed with three totally exclusive tracks you won't find on the album.